The Yeshiva is pleased to announce the visit of Rav Dr. Eitan Abamovitch to NYC and Omaha in October. For details click on the link below. More visits are planned this year, contact us to arrange a visit in your place. Born in 1980, Achiya studied at Yeshivat Mitzpeh Yeriho. 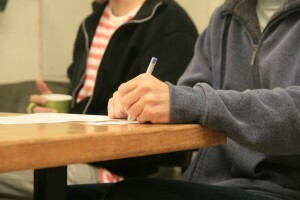 He is a licensed tour guide and has directed various workshops in drama, creative writing, and more. He works with students and soldiers, and prepares guides for the Israel Adventure (Masa Yisraeli). Achiya is a graduate of the first class of the Tzerufim program at Siach Yitzhak, and today he leads the junior Chavurah. Achiya lives in Efrat with his wife and four young children. Born in 1972, Avishar studied at Yeshivat Kiryat Shmonah, and was later among the first students at Siach Yitzhak. He helped to edit the Meshiv Ha-Ruach journal of Jewish Israeli poetry, and was among the founders of the ‘Uri’ women’s beit midrash, where he taught. 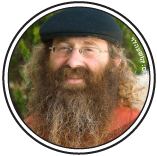 At Siach Yitzhak Avishar teaches Kabbalah, Hassidism and literature. He is also teaches at Herzog College and at the Zohar Hai beit midrash. He edited the book ‘Rain – on fasting and rain in Tractate Ta’anit’, which was published by Siach Yitzhak. He is the editor of an anthology of Hassidic thought and stories (Bar Ilan University) as well as the ‘Atar’ journal, together with his wife, poetess Sivan Har Shefi. Avishar and Sivan live in Tekoa with their five children. Born in 1968, Zohar studied at Yeshivat Merkaz Ha-Rav and Yeshivat Sha’alabim. He is a professor of history at Bar Ilan University and Herzog College. His Ph.D. dissertation deals with modern mysticism in the ‘Prague School’. 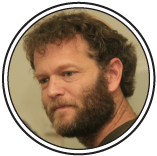 Zohar was a student at Siach Yitzhak in 1996-1997, and since then has been teaching Jewish Philosophy (including Rishonim, Hassidism, Rav Kook and contemporary Jewish philosophy). In 2005 he directed the Binah Le’Ittim Institute adjacent to Siach Yitzhak, and edited the two books published by the institute, dealing with family and gender equality from a new Jewish perspective. He is also a senior editor at the institute for the advancement of Rav Shagar's writings. His book A New Hidden Torah was published by the Zalman Shazar Center in 2010. Zohar resides in Jerusalem; he is married and a father of four. 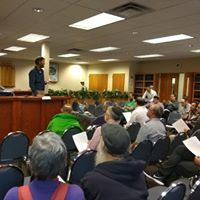 Born in 1980, Eitan studied at Yeshivat Ma’alot and later on at Siach Yitzhak where, since 2008, he has taught philosophy, Hassidism and contemporary philosophy. His Ph.D. dissertation examines Jewish identity in the writings of R. Tzadok of Lublin. He is an editor at the institute for the advancement of Rav Shagar's writings. Eitan lives in Tekoa, he is married and a father of four. 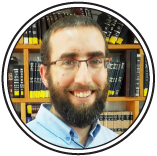 Born in Jerusalem in 1979, Rav Elchanan studied at Yeshivat Merkaz Ha-Rav, Yeshivat Mitzpeh Ramon, and Siach Yitzhak, where he has been a staff member since 2004. 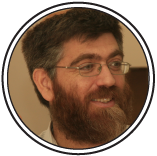 Rav Elchanan is the author of the books Im Ratz Libcha – Spirituality and Holiness in Daily Life (Yedioth Books, 2011), A Jew at Night – a journey into the dreams of R. Nachman of Braslav (Yedioth Books, 2017), as well as three books of poetry that were published by Hakibbutz Hameuchad, for which he received the Prime Minister’s Award for Artistic Creation. He is also an editor of the Makor Rishon Shabbat supplement. Rav Elchanan lives in Jerusalem with his wife and three young children. 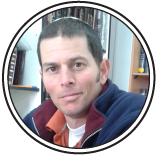 Born in 1972, Rav Avishai grew up in Netanyah and studied at Yeshivat Merkaz Ha-Rav. He was among the group of students that established Siach Yitzhak, and was a student of the yeshiva for several years. He taught at Makor Hayim yeshiva high school and served as rabbi of a religious community in Jerusalem. He specializes in leading study groups and has participated in projects involving joint Torah study by religious and non-religious people. At Siah Yitzhak he teaches Talmud, Halakha and Hassidism. He also teaches at the Migdal Oz women’s seminary. Rav Avishai is married and a father of eight; he and his family live in Jerusalem. Rav Noam completed a Ph.D. at Ben Gurion University; his dissertation focuses on lamdanut and the book Ketzot Ha-Choshen. Rav Noam lives in Nokdim with his wife and five children. 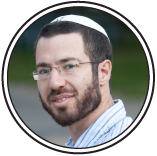 Born in 1976, Rav Ori studied at Yeshivat Ma’alot and later at Siach Yitzhak. 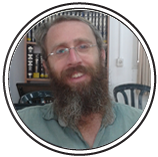 Rabbi Ori is the rabbi of Kibbutz Tirat Tzvi, and a lecturer at Herzog College in Alon Shvut. He is also a deputy battalion commander (res.) in an elite IDF infantry unit. His Ph.D. dissertation examines redaction and meaning in the Babylonian Talmud. Rabbi Ori is married and a father of six. 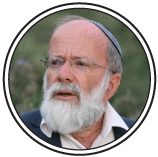 Born in Jerusalem in 1950, Rabbi Dreifuss studied at Yeshivat Kerem BeYavne and Yeshivat Ha-Kotel, where he met Rav Shagar, z”l, who became a close friend and colleague. Together, in 1996, they established Yeshivat Siach Yitzhak. Rabbi Dreifuss served as the rabbi of Beit Yatir and has taught at many institutions of Torah learning, among them Netiv Meir, Birkat Moshe (Ma’ale Adumim), The Jerusalem Women’s College (Michlala) and many more. 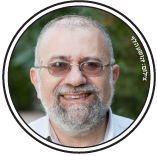 He has published many halakhic responsa in different forums, as well as many articles. Rabbi Dreyfus lives with his wife Rachel in Alon Shvut. They have five children and many grandchildren.